Highly regarded for delicious food, warm, professional service and attention to detail, Tasha DeSerio caters a wide variety of events, from intimate parties to elaborate productions. We take pride in crafting menus and joyous celebrations that reflect our clients' taste and individuality. Working with a team of talented professionals, Tasha DeSerio provides a full range of event services for both private individuals and corporate clients. Inquiries for both event consulting and catering are welcome. We are dedicated to all details, large and small, in every aspect of catering and events. Working closely with clients, Tasha personally crafts unique menus that celebrate the season as well as our clients' taste and individuality. Under the leadership of Kathy Batt, our floor service is tailored to complement each menu, client and event. We draw from a select network of local farmers and artisans to create beautiful and delicious menus that celebrate the bounty of Northern California. The best produce, delectable cheeses and the highest quality fish and meats are the source of inspiration for all of our menus. We are fortunate to work with a remarkable network of conscientious farmers, fishmongers, and food artisans. We share a commitment to good food, quality experience and—above all—a collaborative spirit. Executive chef, founder and author, Tasha DeSerio has over 15 years of experience in catering and events. Her career began as a cook at Chez Panisse Restaurant where she learned to appreciate fresh, seasonal ingredients and simple, well-prepared food. Tasha’s deep connection to good food and the role that it plays in our lives—our traditions and our celebrations— led her to launch Olive Green Catering in 2003. Tasha began working under her own name in 2011 with her current team of talented professionals. Samantha Greenwood and Carri Wilkinson bring years of experience at Chez Panisse Restaurant and a steadfast commitment to quality to the kitchen, where they lead a team of like-minded cooks. On the floor, Kathy Batt manages a team of dedicated servers with warmth, skill and grace. We are fortunate to partner regularly with Rye Bar for extraordinary cocktails and bar service. 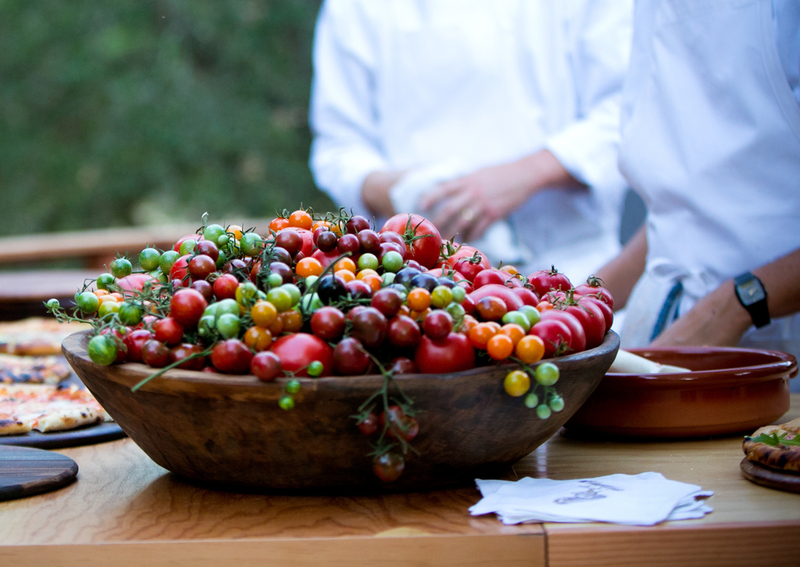 We also enjoy continuing relationships with farmers, artisans, and select event-related businesses in the bay area that share our commitment to beautiful and delicious food and extraordinary events.